Our student printing services offer professional and cheap printing to students across Nottingham. Our printing options include both dissertations and thesis high quality books, along with different binding and front cover options. Choose from both full colour or black an white printing along with the opportunity to print multiple copies. Simply click through to order online and upload your work. For urgent printing requirements a same day student printing service is available please contact us for details. It's reassuring to know that your course presentations and assignments can be handed over to the professional printer. Even better news, using student printing in Nottingham will probably cost a lot less than using the DIY route to creating dissertations, thesis, evidence portfolios or important reports. Let's face it, printer ink is expensive and libraries and other public venues charge high prices for printing and copying. Then you have random bits of paper floating around or dodgy binding to give you sleepless nights. Why bother, when professional and cheap printing services are available for all Nottingham students. If you want your work to look its best and make a good impression on your tutors and examiners, to turn to expert student printing in Nottingham. You could commission hardback binding for your dissertation, or provide the work with full colour covers and illustrations. 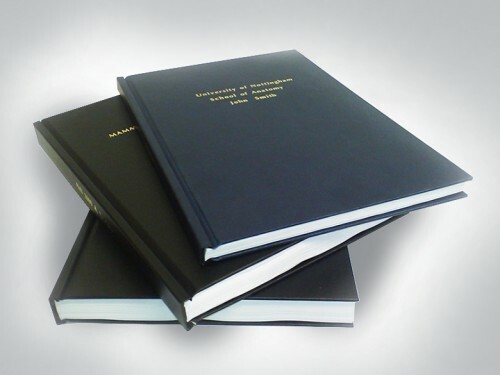 You may need soft binding or wire binding for your dissertation or thesis, for a quality finish that is affordable. 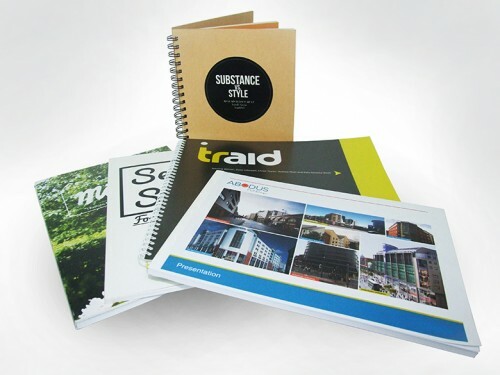 Dissertation and Thesis Print and Bind services can sometimes provide you with advice on artwork too. This means you can create a polished and aesthetically appealing effect that matches course specifications. Same day thesis printing in Nottingham also requires the assurance that the collation and binding is done mechanically and flawlessly. The last thing you need after all the blood, sweat and tears, is to accidentally miss out a key page of your “work of art”. Fortunately, student printing in Nottingham can be placed in the hands of experts who know their stuff. Printing experts who also know how vital it is to help you show off your stuff too! Although we're based in Nottingham we are able to quickly process as despatch any student printing requirements to anywhere in the UK. Dissertation and Thesis printing can be ordered online but if you'd like to discuss your requirements with our team please contact us.